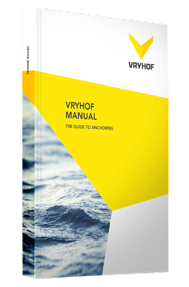 The proof loads of a permanent mooring system for CALM buoys and FPSOs are typically 80-100% of the design load so that substantial bollard pull capacity is required. The use of the STEVTENSIONER® for subsea tensioning offers significant cost benefits as it reduces the required load by typically 60%. As a result mooring installations can be performed from modests anchor handlers or crane barges. 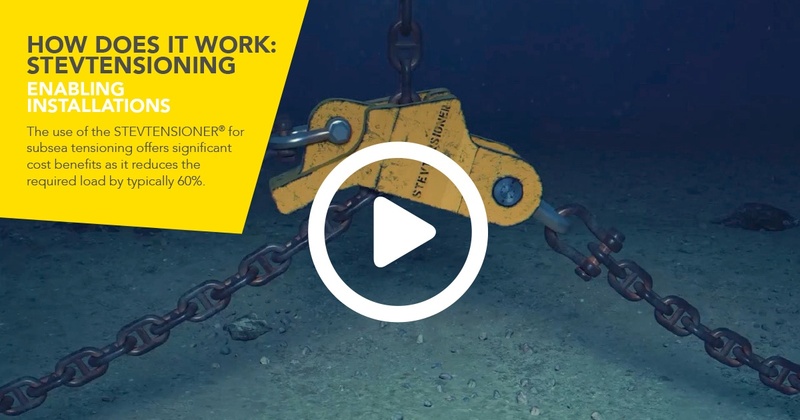 The STEVTENSIONER® is basically a chain shortening clutch with the mooring chain connected on one side and a reaction chain running through it. A vertical pull can induce more than double that pull in the horizontal leg. Repeatedly heaving up and slacking the STEVTENSIONER® in a yo-yo action builds up the load in the mooring chain until the required tension is achieved. Typically 5-7 cycles are sufficient. arrives on location. STEVTENSIONER®’s handle loads up to 1,250 tons and accommodate chain size of 76-152 mm for the work chain. Given sufficient heave height there is no limitation on mooring line length and can thus also be used for tensioning of systems that include wire rope. By cross tensioning of two opposite anchor legs in the mooring spread, an even larger time efficiency is created. It reduces the number of tensioning operations required by 50% and may save as much as 35 to 40% on the total installation cost originally required for the operation. The tensioning services are available on a rental basis. Dedicated engineering can be performed and depending on the complexity of the project may include a feasibility or suitability assessment and the preparation of suitable procedures. The rental package includes the STEVTENSIONER® and the load measurement pin and data transmission via acoustic and umbilical cable to a read out unit. The package would typically also include the supervisor during the tensioning operation.